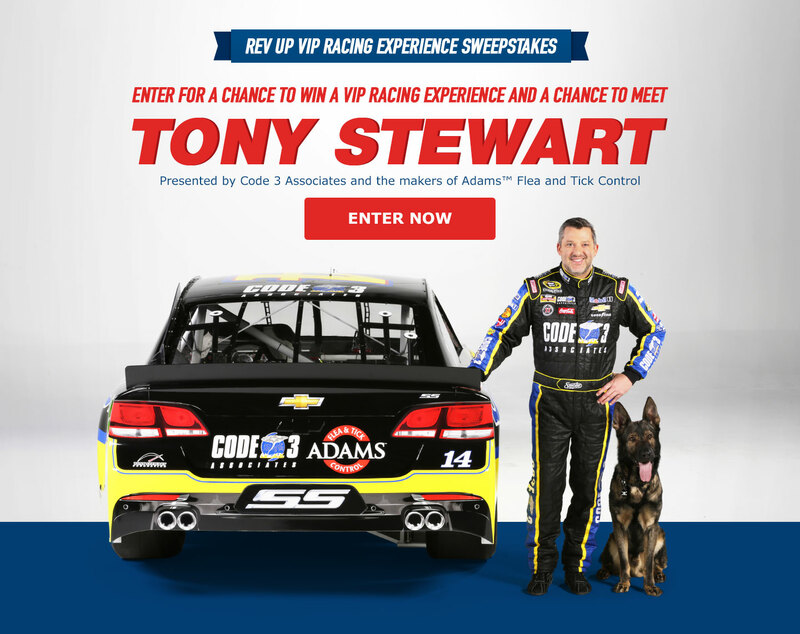 Adams Pet Care wants pet owners to enter daily for a chance to win a VIP Racing Trip, complete with $500 CASH for spending money AND a meet and greet with NASCAR's own, Tony Stewart! Runner up winners will get great pet care products and a Tony Stewart bandana, too! This Sweepstakes ends on 07/01/16 and you can ENTER DAILY to win.